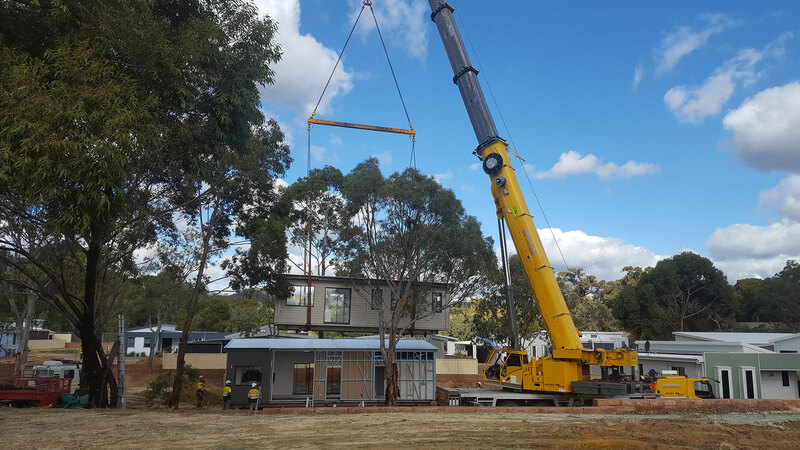 It’s always a treat to watch homes being installed in the village and this one was special because of the delicate maneuvering it took to dance around the trees we love so much to install the home. 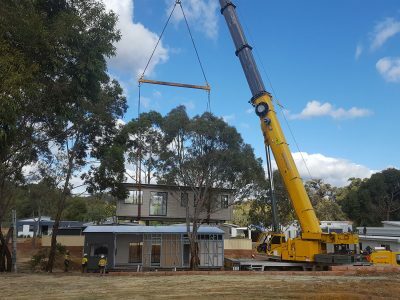 It was the first home to be installed that day with the second home installed in the afternoon also on a lovely stage 6 site with views to the hills. 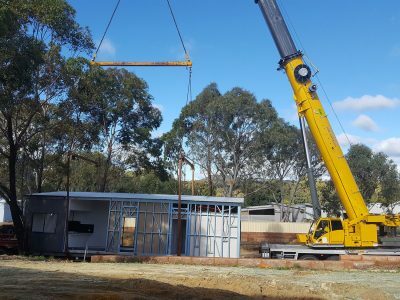 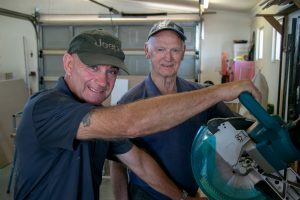 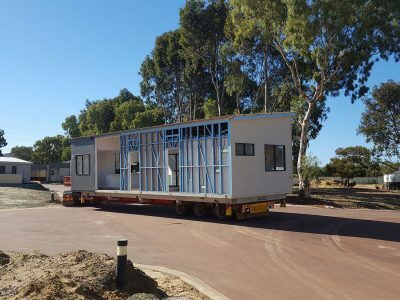 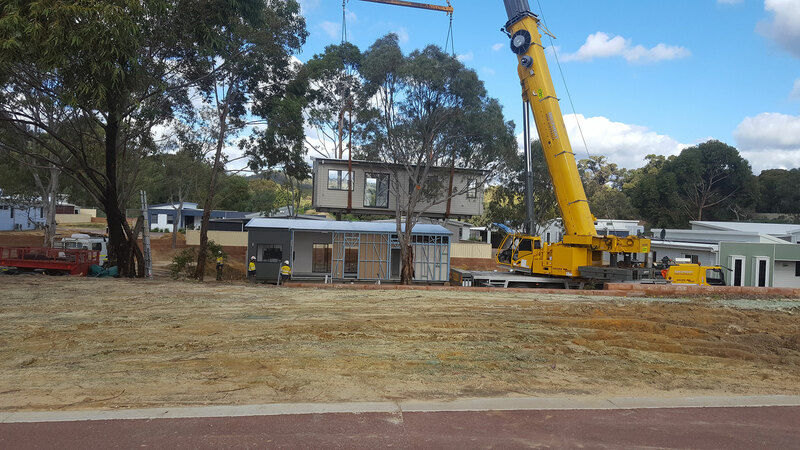 All our homes are built to the highest standards, which includes a concrete slab, steel frame construction, fibre cement cladding, Colorbond Roofing and an energy rating equivalent to 6 stars. 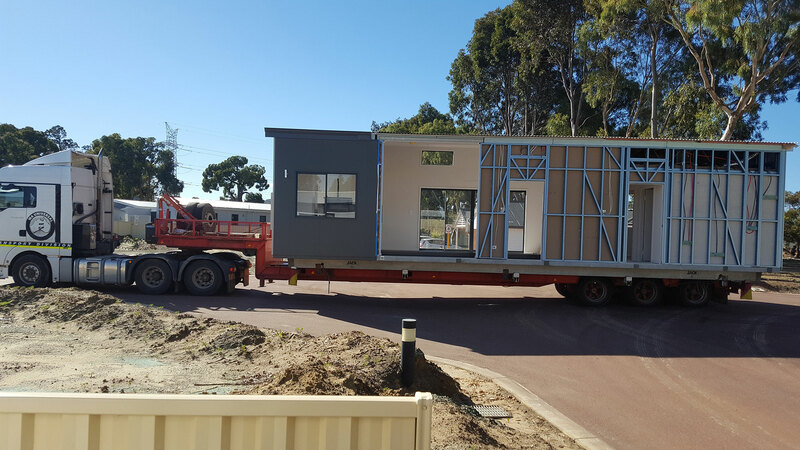 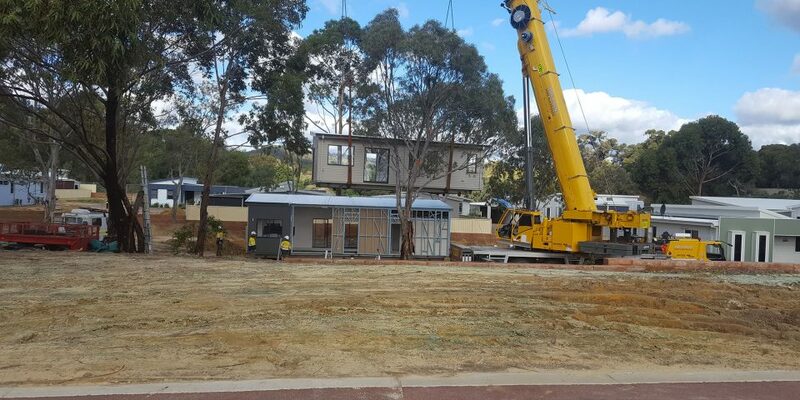 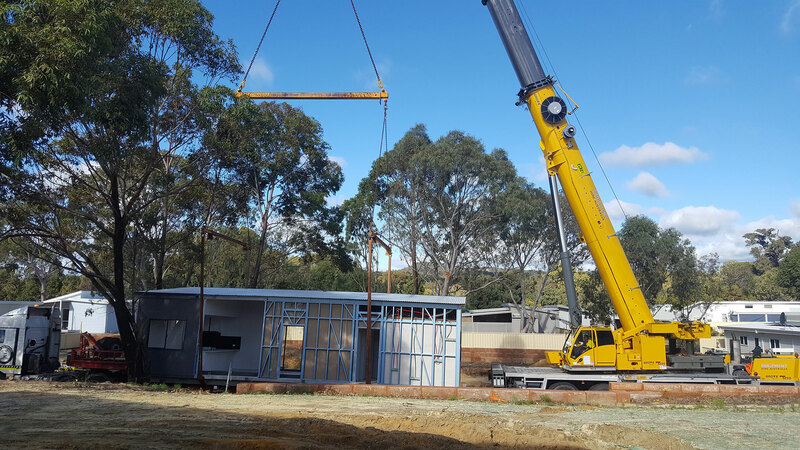 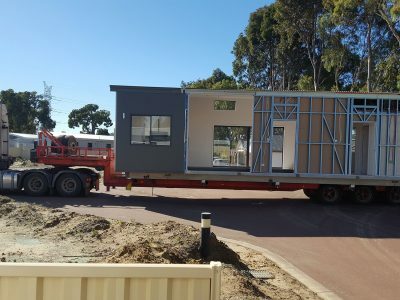 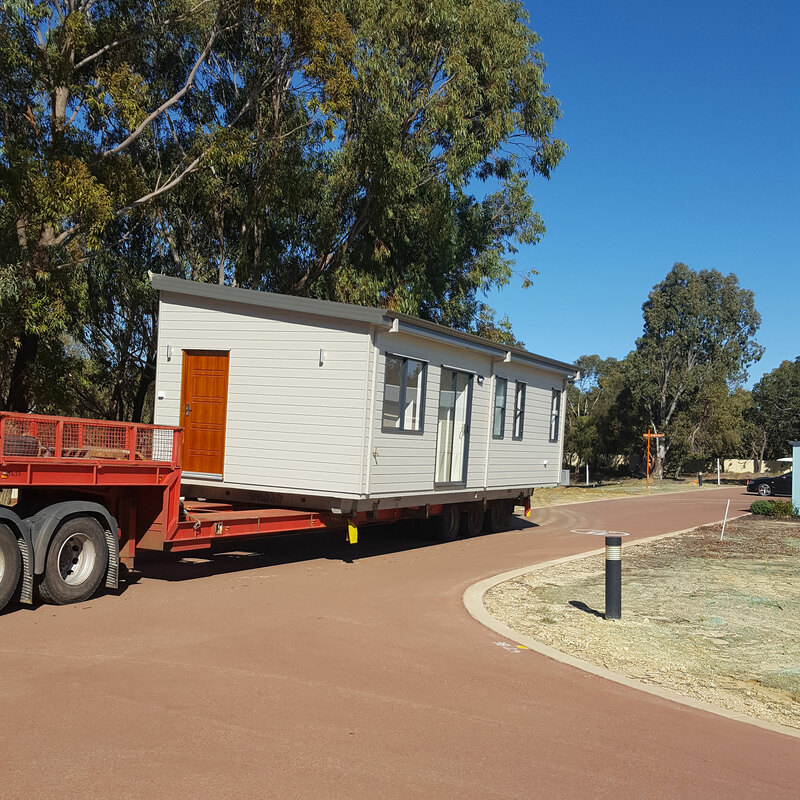 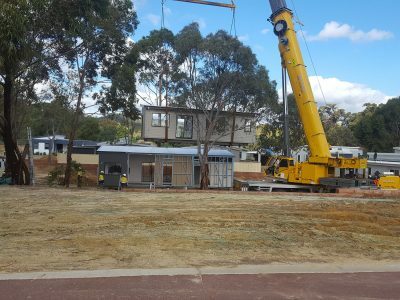 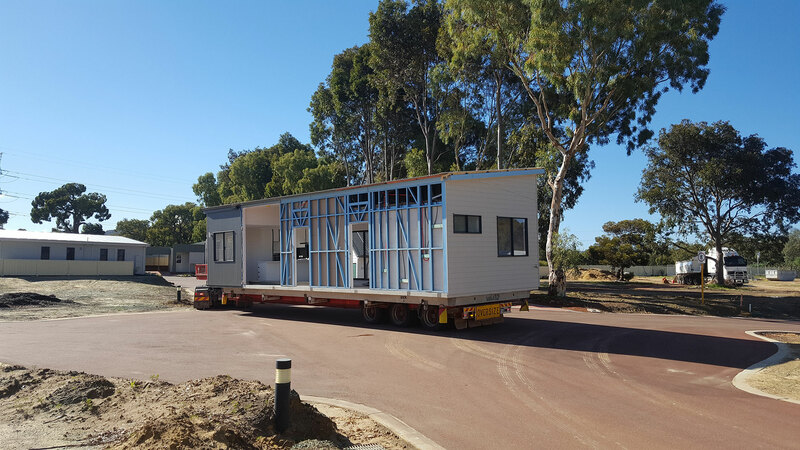 The skill of the crane drivers, truck drivers and install personnel was well on show to ensure the homes were installed safely, without damage to either home, the trees or any Lifestylers or staff alike. 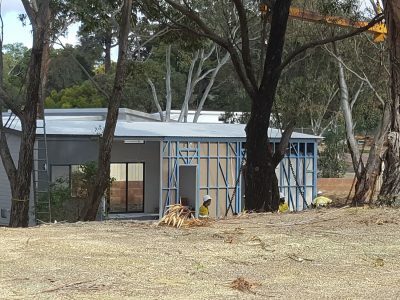 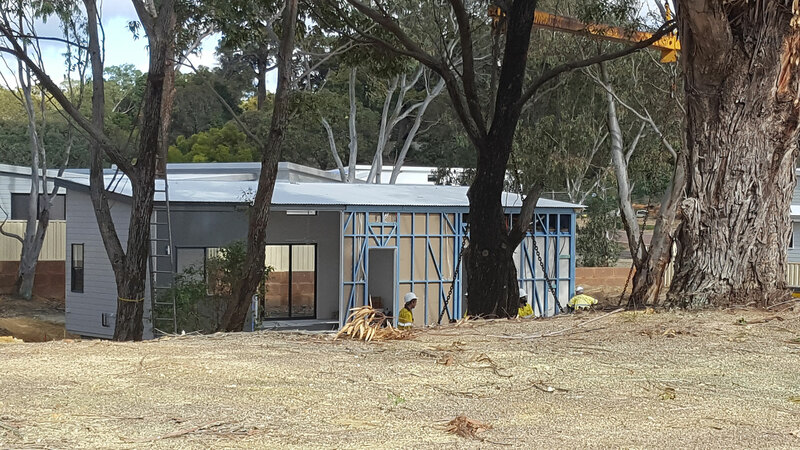 Stage 6 is really starting to take shape and if you love nature and a natural bush setting, there’s still a few sites left, but not many as we currently have 17 people who have sites booked who have sold their home or are waiting to sell their home to move in. 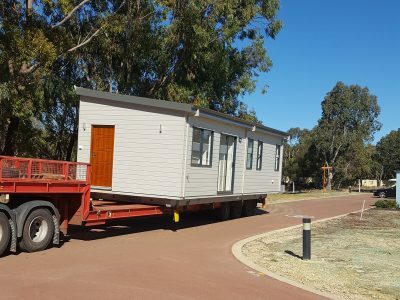 Mr and Mrs King were there to see their home installed and we’re all very much looking forward to them and the Williams’ joining us in the village!